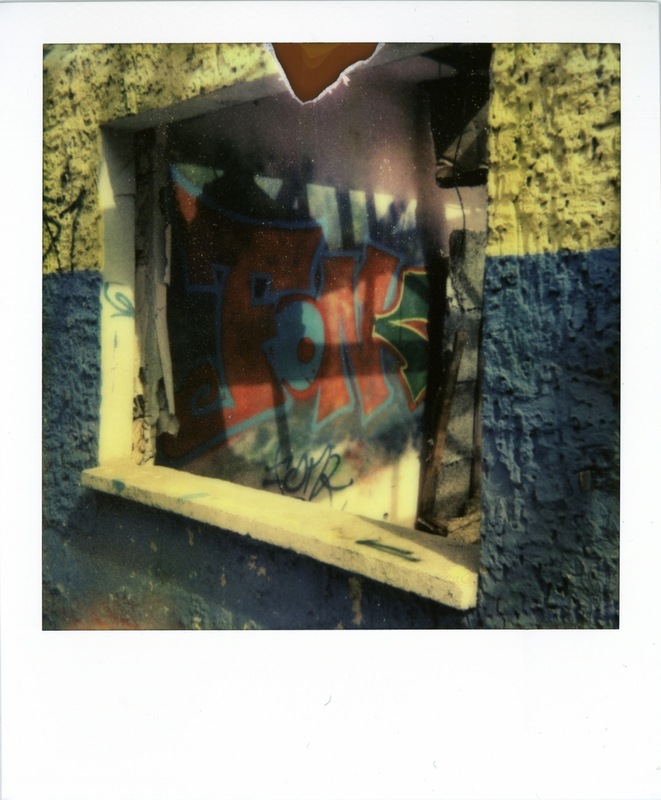 I put together another Polaroid set which I called Fragments: Signs of the Times. It is a collection of shots of the kind of bits and pieces of the the type of signs that humans leave behind in the cities and which, eventually, come to stand for a certain time, and possibly a certain place. This can be anything from street art and public art to human detritus or simple decorations. The city in question being Berlin, these fragments point to bin the distinct cultures and tastes that evolved in the two parts of the once divided city, of the free spaces that opened up on either side of the wall before and after its fall. If this sounds a bit highfaluting, it isn’t meant to be… at the end of the day, it’s about finding interesting motives to photograph, especially finding new motives to photograph in a city that I, and many other people besides, have been busy documenting of late…. 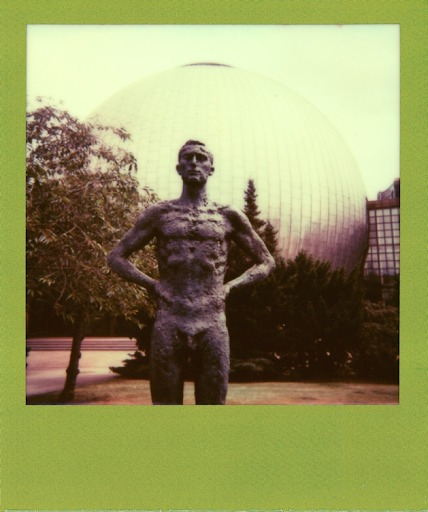 I’ve been shooting the photos pretty much throughout this year, using various Polaroid cameras, and on a variety of Impossible Project films, so that the results come in different moods and colors (including black & white). I hope you enjoy it. 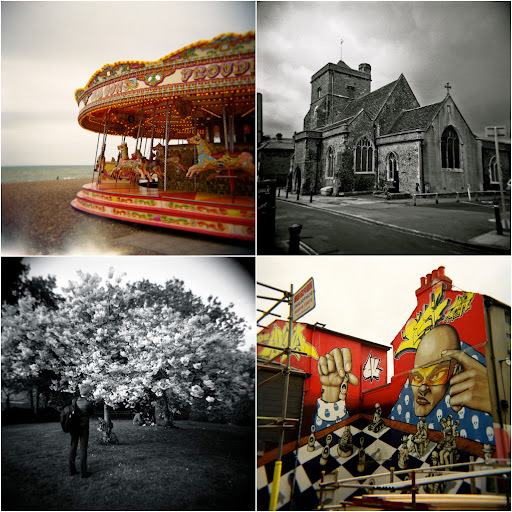 It took me a while, but now they are finally up, the photos I took with my Holga in London and Brighton back in May. The reason why it took me so long, apart from some issues with my aging scanner, was that I also re-arranged the set-up of the Holga page, and decided to try out a new version of the software I’m using to create the web pages (in case you’re interested, I’m using Rapidweaver to create the web site, in combination with the Photographos and Photographos IV themes). The new version of Photographos offers some nice new features, such as a console to hide text and thumbnails and a good-looking mobile version of the pages, but it took me awhile to get the layout right. To cut a long story short, the new pages in the new layout are up since yesterday, and I hope you enjoy them. 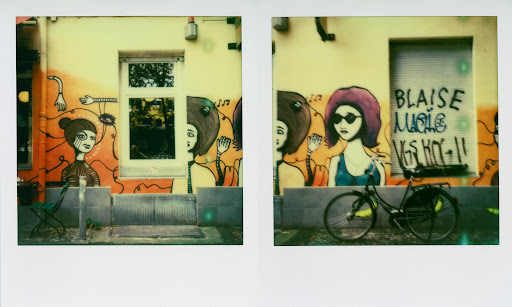 A note on the films I used: I was trying out the new 120 films by Lomography. As you can see, the colours look great (better than Kodak, not quite as good as Fuji), but you also notice some light leaks on a few shots. Actually, on of the rolls unrolled in my hands as I unwrapped it – at least half the shots were waisted. Not so good… The black and white shots are from the trusted Ilford films – you can’t go wrong there, still my favourite b&w films. 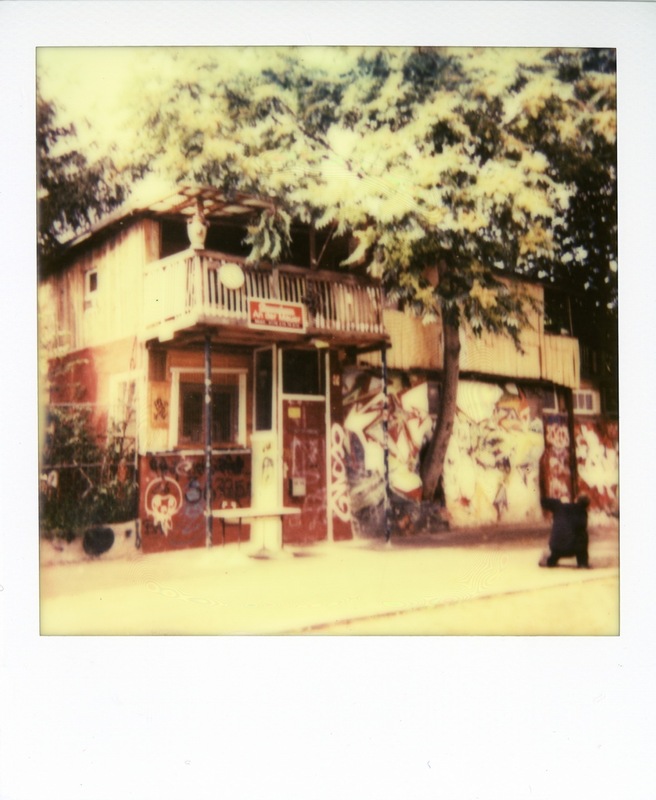 A few weeks ago I came across a vast area of houses being demolished to make way for a new, controversial strip of highway to be built across Berlin. 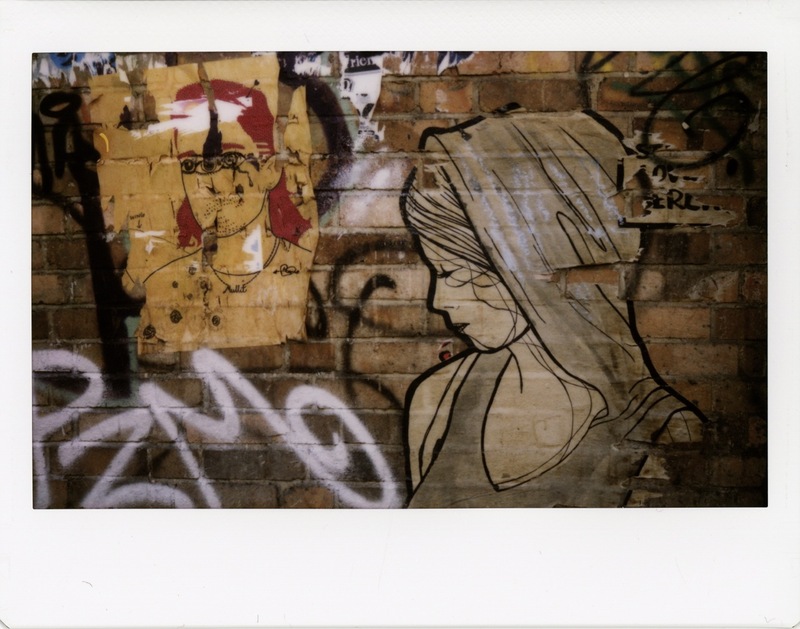 The area was fenced off but a gate was left open so I slipped in and shot a couple of films of Polaroids, a selection of which I now uploaded. In case you’re wondering at the nature of these houses, they are really ‘city cottages’. They are part of a typical phenomena in German cities: stretches of land set aside for gardening where city people can rent plots to set up a cottage and tend a garden. 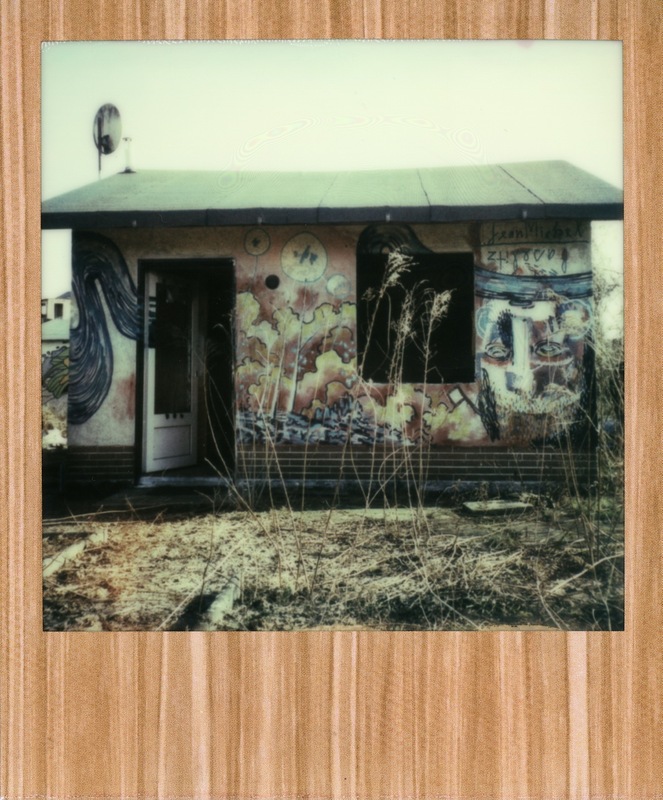 These places tend to be miniature worlds – somewhat akin to trailer parks and year-round camping sites, where people set up for themselves their own little homes away from home, often fancifully decorated in ways that people probably would not deck out their main places of living. This is not necessarily in the best of taste – there can be found a fair abundance of garden goblins and other similar pseudo-rural kitsch used in obvious attempts to create make-believe suburban utopias in the heart of the cities. In this particular area the cottages are now being demolished, the buildings are empty and only the shells remain (for now). These shells have become the canvases for urban artists to leave their mark and create imaginative, if temporary, pieces of art. This I find one of those phenomena typical of urban life: creation amidst destruction. 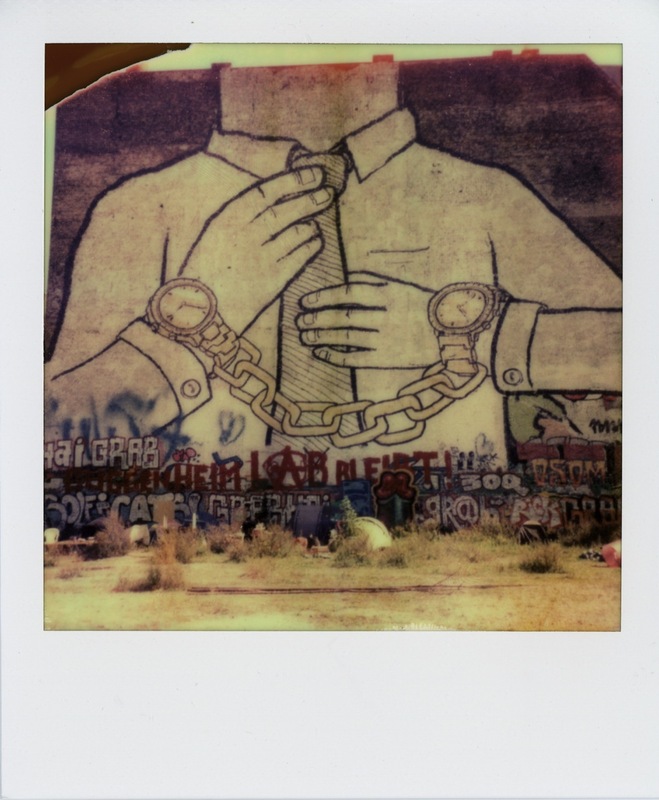 I used a Polaroid SX-70 Sonar camera for the shoot, with Impossible Project PX 70 and PX 680 CP films.